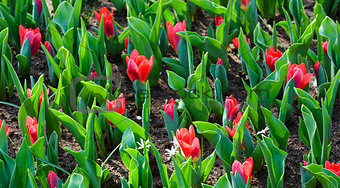 Image Description: Beautiful red tulips (closeup) in the spring time. Nature background. XL 28.6 x 15.8 cm 11.2 x 6.2"